We are the pioneers – which means there’s a lot of trial and error. There are also a lot of conversations as we converse with other parents, share what works/doesn’t work, and try to learn together how to keep our kids safe online while helping them use social media wisely. This is why I’ve written a book for girls and moms of the digital age. Titled Liked: Whose Approval are You Living For? it is packed with insights and inspiration related to social media, friendship, identity, and faith. 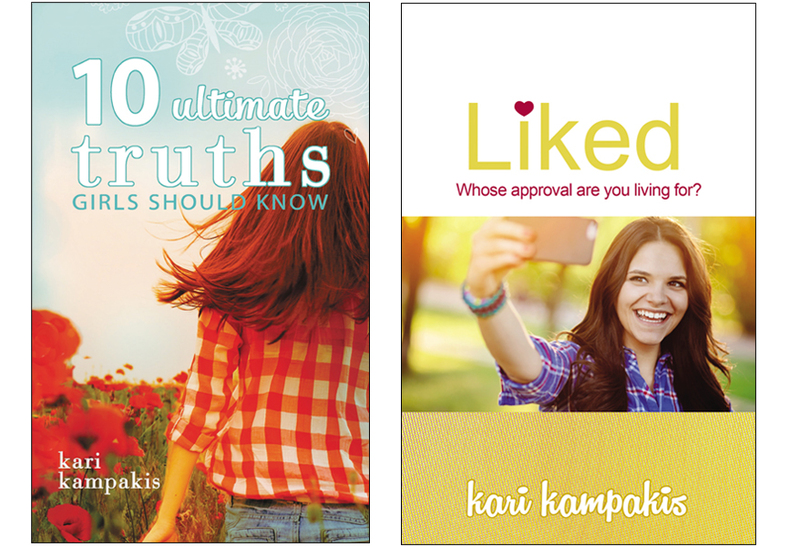 Liked just released on November 15 and is available everywhere books are sold, both online and in bookstores. Being smart online is really a matter of being conscientious. It requires thinking through your posts/comments and being intentional. 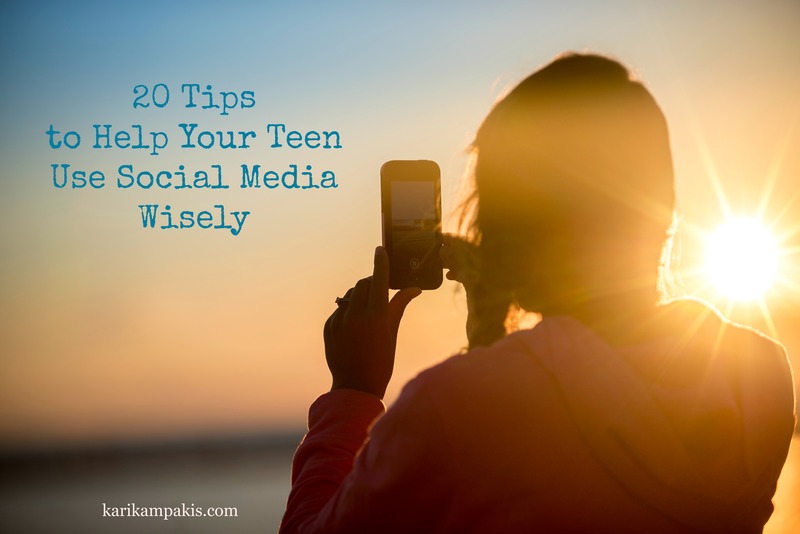 If your daughter (or son) is a social media user, you may appreciate these 20 tips excerpted from Liked. My hope is that they’ll ignite a conversation in your home and help your teen cultivate healthy online habits that allow them stand out in a good way. 1. Pick a goal that pleases God. Social media should be used to spread love, not poison. Look for what is good, right, and inspiring in this world, and then post about those things. 2. Know your followers. All the warnings you hear about “stranger danger” are increasingly true online because people can stalk you without your knowledge and pretend to be someone they’re not. Be vigilant about who you let follow you because the Internet is packed with predators, trolls, and people who take advantage of beautiful young girls like you. Above all, pray for wisdom. Ask God to help you discern who you should and shouldn’t interact with on social media so you can enjoy it while keeping yourself safe. 3. Before you post, consider three questions: Is it kind? Is it true? Is it necessary? The key word here is necessary. While it may be true that your friend looks super-skinny in her photo, is it necessary to post #eataburger? Are putdowns that masquerade as praise ever truly helpful? The purpose is to make you pause and think. And while you usually see this question after you’ve posted, it’s really needed before you post. This reminder doesn’t exist, of course, but you can still use this question as a litmus test before sharing. And if you’re unsure about something, don’t post it. Chances are, your gut instinct is warning you about a potentially bad idea. 5. If you aren’t feeling the love, stay off social media. We all get in bad moods, fly off the handle, and overreact at times. But giving a keypad to your emotional monster asks for trouble because you’re likely to share something you’ll later regret. The Internet isn’t a dumping ground. It’s not the place to vent, air dirty laundry, or call your best friend out for a lie she told. So before going online, be sure your head and heart are in the right place. Cool off from any anger, jealousy, or frustration so you can act intentionally, not impulsively. 6. Keep a thick skin and a tender heart. Put on your armor because people can be mean and social media trolling is rampant. Even if you’re not blatantly attacked, you may get dumped on by a snarky comment. Prepare for meanness now. Keep a thick skin by knowing who you are in Christ so that negativity doesn’t get under your skin and harden you. 7. Learn from your mistakes — and the mistakes of others. It only takes three seconds of poor judgment online to set a wrecking ball in motion. Every day, teens make life-altering mistakes that hurt them, their peers, and their families. Most mistakes are caused by not thinking through the consequences. So remember, every choice you make has a consequence. Everything you share — even a private text or inappropriate Snapchat photo to one person you trust — can potentially go viral and be seen by thousands or millions of people. One quick screen shot of your message or photo can jump-start a disaster. Please don’t repeat the mistakes you see making headlines today. Don’t share anything, even with your best friend, that you’d be mortified to see splashed across the front page of a newspaper. 8. 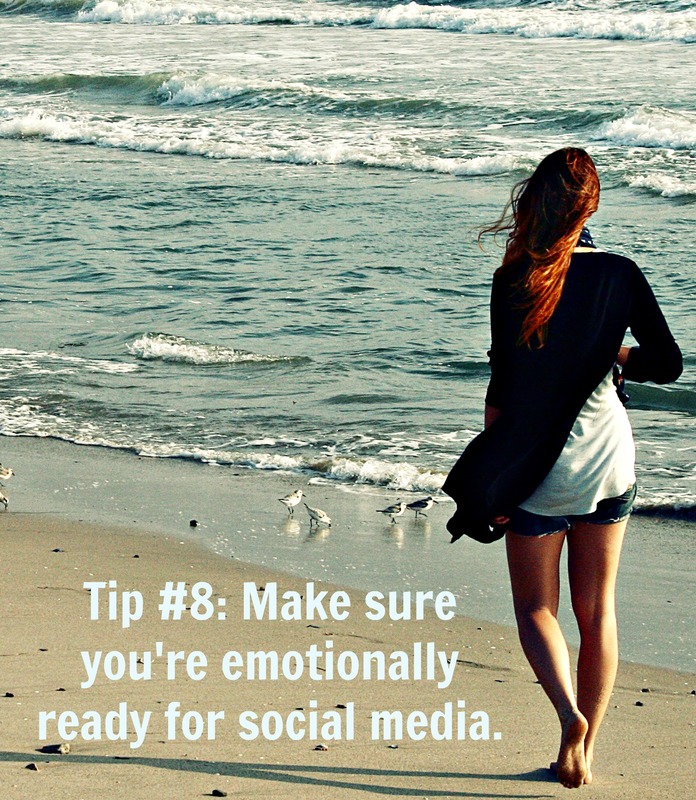 Make sure you’re emotionally ready for social media. It’s normal to feel left out, jealous, or insecure when you see your friends on Instagram getting frozen yogurt without you, having fun at the lake, or looking so gorgeous that you feel like a monkey in comparison. 9. Pay attention to the conversations you start. Words trigger feelings and emotions in people. For better or for worse, they start a dialogue. Do your posts trigger kind comments, or do they trigger gossip? Do they bring out the best in people, or do they bring out their dark, snarky, and sarcastic side? The responses to the things you share are telling. While those results can’t present the full picture, they can offer clues about whether you’re on the right track. 10. Build up your friends, family, and classmates. If someone has ever written a special post about you — perhaps on your birthday — you know how awesome it makes you feel. So look for opportunities to celebrate others and shine a spotlight on them. 11. Recognize what is and what isn’t your story to tell. When something wonderful or terrible happens to someone close to you, you may want to share it. Whether it’s a celebration or special prayers that are in order, you may want all your social media followers to know. Before you post, however, check with the person. Make sure he or she is okay with you sharing any news or updates that relate to their life. 12. Avoid apps that allow anonymity and promote secrecy. Anonymous postings bring out the haters, and nothing good comes from spending time in these venues. You ask for trouble when you use apps that allow you to hide things (i.e. photos and texts) from your parents or conceal your identity. Everything you do on your digital device should be “in the light”. You should have nothing to hide or be ashamed of. If you feel compelled to hide your posts — or be sneaky and secretive — then that’s a sign you’re misusing technology. 13. Limit selfies. In 2013, selfie was named the word of the year by Oxford Dictionaries because use of the word grew 117% in that period. Selfies can be fun, but their rising prevalence shows how narcissistic our society has become. Your pictures tell your story, and if you’re always posting selfies — well, that tells people your life is all about you. Is that really the story you hope to tell? Girls often use selfies to fish for compliments or be affirmed of their beauty, but it benefits you to aim higher. Keep selfies in moderation and tell stories that reveal more about your spirit and less about how your hair looks today. 14. Detach from your numbers. Social media has made popularity quantifiable. Among your peers, the barometer often used to measure your importance and worth is how many “likes,” followers, and shares you get. So keep your eyes on God, and learn to tell the difference between human praise and quiet applause from Him. 15. Don’t base your confidence on social media. If you rely on social media to build you up, you also give it power to break you down. Social media can mess with your mind, your emotions, and your confidence. 16. Set standards for yourself. In today’s virtual world, there is a reckless disregard for content as many people post pictures and comments that are inappropriate, racy, and rude. Low standards lead to online bullying, smear campaigns, tarnished reputations, and social media nightmares. 17. 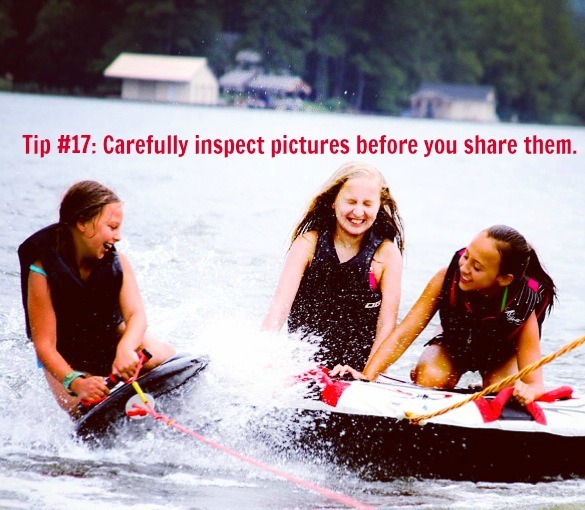 Carefully inspect pictures before you share them. Technology makes it easy to intentionally and accidentally capture people in compromising positions. So before you post an image, study it. Make sure everyone in the shot — not just you — looks okay. 18. Don’t spend so much time in the online world that you neglect the real world. The best moments in life will always happen face-to-face. So put your phone down when you’re with your family and friends and enjoy the deep and meaningful conversations you simply can’t have online. 19. Settle conflict one-on-one. When you and a friend have an issue, try to talk in person or call her instead of sending texts. Arguments can escalate quickly through technology, and messages often get interpreted the wrong way. Rather than take that risk, make an effort to reach out. Besides showing respect for your friend, this also shows maturity. 20. Be a class act. God gave you a voice to empower people. And through social media, you’re given a microphone that lets you to speak to an audience and empower multiple people at once. So be an encourager, not a critic. Surround yourself with friends who do the same. The more people you inspire to use their microphone for good, the less the critics get heard. And once you shut out the critics, real progress can begin. Using social media wisely is something we all learn as we go. Using these 20 tips as a starting point, your teen daughter (or son) can begin to discover their unique voice and build an online reputation they can be proud of today, tomorrow, and twenty years down the road.